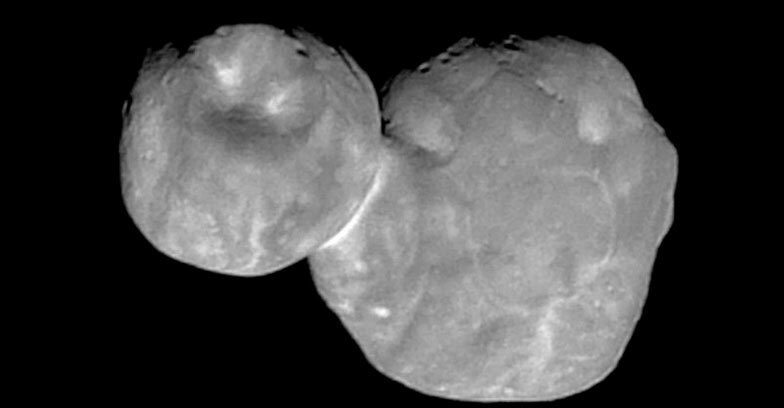 Being nicknamed as ‘Ultima Thule’,the faraway cosmic body which appears similar to that of a snow man has flat-not round-behind. New photos from the New Horizons spacecraft offer a new perspective on the small cosmic body 4 billion miles (6.4 billion kilometers) away. Scientists say the two-lobed object is actually flatter on the backside than originally thought. It was the farthermost world ever discovered by NASA,and when viewed from the front, it still resembles a two-ball snowman.